The poster of the movie features Nels Coxman dragging a drug peddler in the snow. His snowplow truck is seen parked in the background. The entire poster is given a snowy look with milky-white color and the movie name is written with red to display revenge and retribution. It is the English remake of a hit 2014 movie In Order of Disappearance. 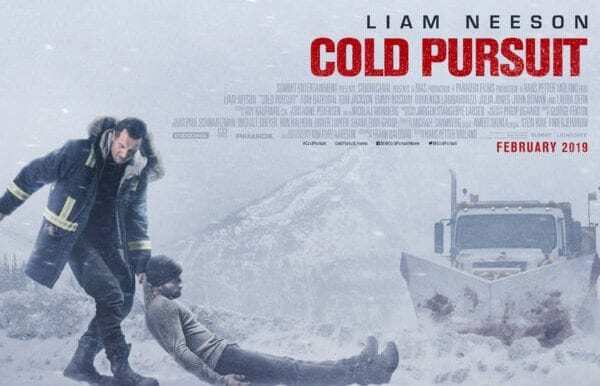 Cold Pursuit is about the love of a father for his son. It has action, comedy, killing, escape and gang war.